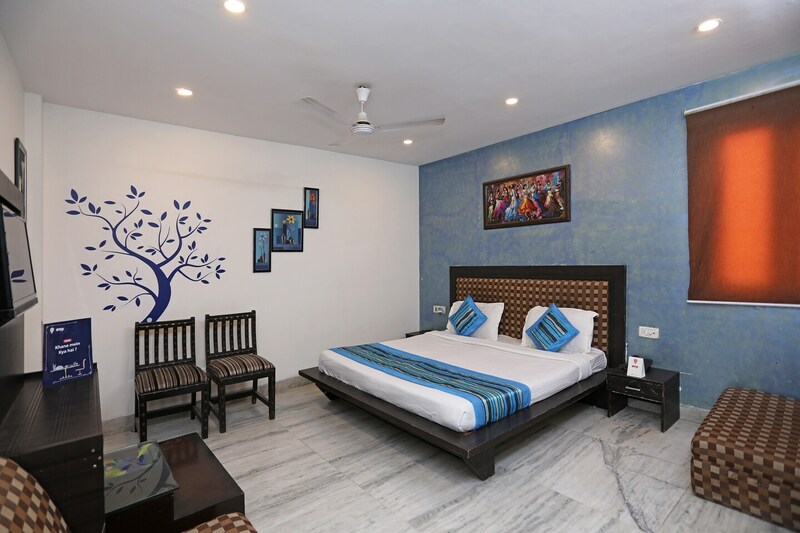 Hotel Heritage Home is a modern budget-friendly hotel on Main Bazaar Road in Paharganj. Tourist landmarks near the hotel include Ramakrisha Mission General Library, Bhuli Bhatiyari Ka Mahal, Chawri Bazaar, New Delhi Railway Station, and Connaught Place. The rooms of the hotel are spacious and the walls are painted in light shades and are decorated with wall paintings. Free Wi-Fi, AC, and TV are the amenities offered in the hotel rooms. The closest shopping areas are the Paharganj Market, Krishna Market, and General Market. Restaurants and cafes like Madaan Cafe, Khosla Cafe, Comfort at Roof Top and more are all located nearby.